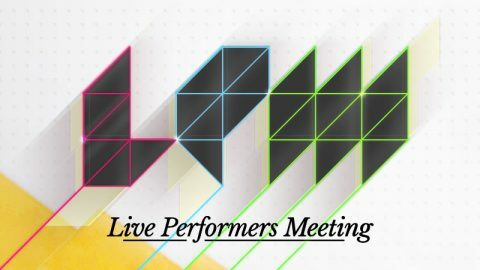 The fourteenth edition of LPM Live Performers Meeting begins on November 13, 2013 in Cape Town. In fact it is this community of artists that made of the 2013 Rome edition a surprising event. We hosted more than 400 artists, 220 performances, workshops and showcases, recording an overall amount of 39 participant countries. Thanks to the contribution of the European Community, in 2013 the LPM project foresees a third edition, after the succesfull editions in Mexico City and Rome. Again, this XIV edition seeks to promote the practice of live video performance, thanks to a rich and unpredictable programme aimed at exploring different themes through new audiovisual languages, techniques and technologies. Registration to the meeting is FREE and you can subscribe by following the procedures of registration in the “participate” section of the website. To give the opportunity to host most of the performances we receive, the maximum duration of each show is 30 minutes. Registration is open until September 10, 2013. In addition, this year LPM hosts once again the VJTorna, an international VJing competition that offers to both the performers and the audience a unique and exciting experience. Three days of battles among VJs, an international jury of experts, 3 categories Pre-production, VJ Battle Champion and Best Live VJ Mapper, an Audience Award and technical sponsors who put their products up for grabs. Born in Budapest in 2004, today the VJTorna is a fixed appointment for VJs worldwide.